Canned rellenong bangus for business. If you want to earn more income, try this homemade canned rellenong bangus and sell to your friends, neighbors, food shops, and even supermarkets. 1. Scale and eviscerate the fresh fish and then wash thoroughly to remove the blood and other foreign matter. 2. Sauté garlic, onion and tomatoes in oil. Add the minced meat, peas, red pepper, pickles, raisin, salt and MSG. 4. Stuff the sautéed mixture into the skin. Freeze. 5. 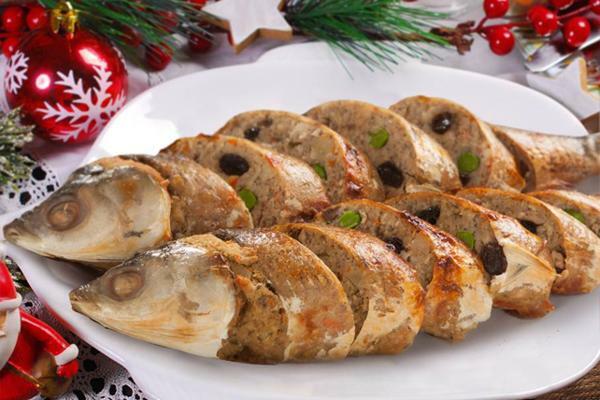 Cut the frozen stuffed fish transversely into can sizes. 6. Pack in can (307 x 201.25 size) at 170-180 g/can. Add enough corn oil: water mixture (1:1) leaving 0.42 (1/6 inch) headspace. 7. Exhaust into an internal temperature of 82.2ºC (180ºF). Seal cans completely and process.